I used to think I needed to change who I was, so I could stop feeling awful. I was kind of obsessed with “Personal Development” which to me, was about learning how to “fix” myself so I could be a better person. I so wanted to feel peaceful, calm and happy! It took me a long time to figure out that I didn’t need to change what was “wrong” with me. The “real me” was in there all along. I just needed to find her! No matter how awful you might feel, there’s nothing “wrong” with you and you don’t’ need fixing! The truth is that everything you need is within you. So when we feel out of alignment, what that really means is that in some way we’re disconnected from our truth. When I work with women one-on-one or with groups at my retreats, I feel a big part of my job is to help others realise this. Helping people learn how to tap into the peace and love that you already are; that’s already within you and is your natural state. Even if you have no idea how to feel peaceful, I can tell you for sure that you DO have peace within. You just need to know how to connect with it. 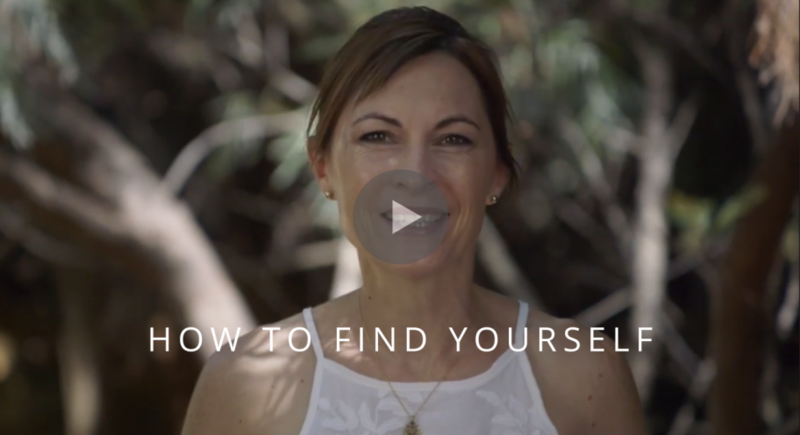 So I think “Self-Discovery” is so much more accurate than “Self-Development” because our growth on the path to a more conscious, peaceful and joyful state of being is all about “finding” the real you – who is already in there! This process of growth is more about shedding the layers of what we’re not, to discover who we really are. And yes, this involves change. But the change is discovering that the “you” that you’ve been identifying with, is more to do with your “program” (i.e. subconscious thoughts and beliefs that you’ve developed from childhood). The change that we’re seeking then, really is ALL about finding yourself. And finding yourself is simply about learning to connect with the real, authentic you. The complete, peaceful, contented, loving being that is the truth of who you are. She’s in there, trust me! Special Limited Time Offer. Book a 1:1 Breakthrough Session with me for a $100 Discount! Thanks Kelly. I really enjoy your videos. They make a difference for me. Thank you for this message. I’ve been struggling lately to fix myself so it was a huge relief to hear that I’m not “wrong “ or “damaged”. I’m doing so much at the moment to “fix” myself that it can be overwhelming. I’m new to Soul Space so still trying to get a routine in place that allows me to work on myself. I love all of your positive messages and always feel calm and peaceful after the meditations . Hi Suzanne, I’m so glad this message has reached and resonated with you at a time when you needed it. Keep remembering that it’s all about connecting with the “real you” who has peace and love as her natural state. She’s in there! And rather than “fixing” ourselves, we need to keep shedding layers of what we’re not and calling out the untrue “stories” our head tells us. It’s just our thoughts (and they aren’t you, we just have them) that tell us otherwise and often keep us disconnected. Keep showing up for Soul Space, which guides you back to that place where you reconnect with that peace and truth of “you” – I’m so glad it’s making a difference for you. Thank you for your videos always so helpful. So glad to hear that Sue! Thank you so much for your kind feedback, I really appreciate it. Love the wisdom you share with me Kelly. Looking at myself from your perspective has helped me to be gentle with myself. Thank you for your kindness message.